In partnership with Nederlander and Professional Facilities Management (PFM), the Steven Tanger Center for the Performing Arts announces the full line-up of shows for its 2020-21 Inaugural Broadway season. Those who have made Broadway season deposits will receive information with their priority window to convert their deposits into Broadway memberships ahead of the general public. To date, Tanger Center has received 10,800 Broadway deposits. 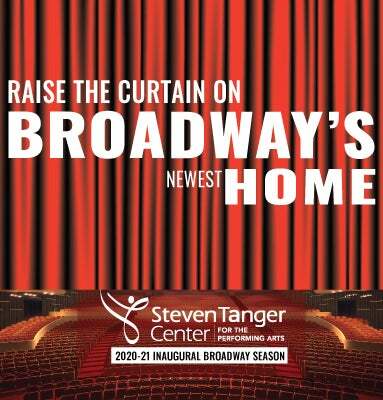 To provide sufficient time to Broadway depositors with priority purchasing windows ahead of the June 3 public on-sale date, Tanger Center will cap the total number of Broadway deposits at 12,000. Patrons can register to become a Tanger Center Insider for updated news and information.